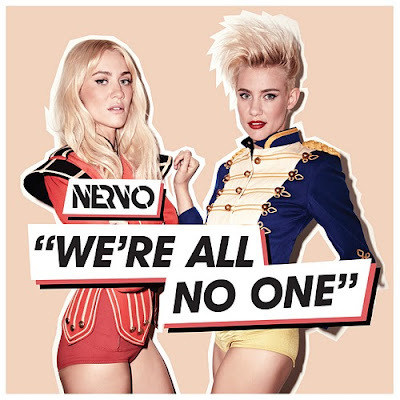 These girls are one of the rising stars to be produced from Australia, The Nervo Twins are multi talented too being are fashion models, musicians, DJ’s and songwriters. The Melbourne born girls has released their lyric video for We’re All No One, which is an edgy dance track that will see them storm the charts and become notable in the pop world. First receiving recognition for their work on the ex S Club 7 singers Rachel Stevens track Negotiate With Love. The girls have gone from strength to strength working with various artists including Ke$ha, Sophie Ellis Bexter and Pussycat Dolls. Currently touring with Britney Spears, alongside Jessie and the Toy Boys, on her Femme Fatale tour, you will be hearing more of these girls over the next pop year. Until then, check out their video below featuring infamous part boys Afrojack and Steve Aoki.